SUITES PERMÉABLES is intended as a basis for questioning intimacy at the limits of its physical expression. In every culture, a certain physical distance is unconsciously established between two people. The interaction is delimited by an invisible boundary, by a personal space that enables us to enter in contact with the world, to breathe it in, exude it, and above all, to sense it. Set in an atypical performance space, this choreographic piece is deeply engaged in bringing audience members outside of their comfort zone, shaking up their expectations and coaxing them into an unexpected encounter with the other, in a hidden dimension. The closeness between dancers and spectators is established by the spatial arrangement in this choreographic piece. The stage area is anything but a conventional layout: it calls for a single row of spectators and close in front of them, a wall. Between the two, a narrow stage area punctuated by a series of choreographic moments. The body in movement cannot be observed from any real distance in this highly linear space. It is perceived peripherally or across the dancers’ skin, and often at skin level. SUITES PERMÉABLES is intended to be perceived in much the same way as one gives a look, reaches out a hand, or whispers in someone’s ear. 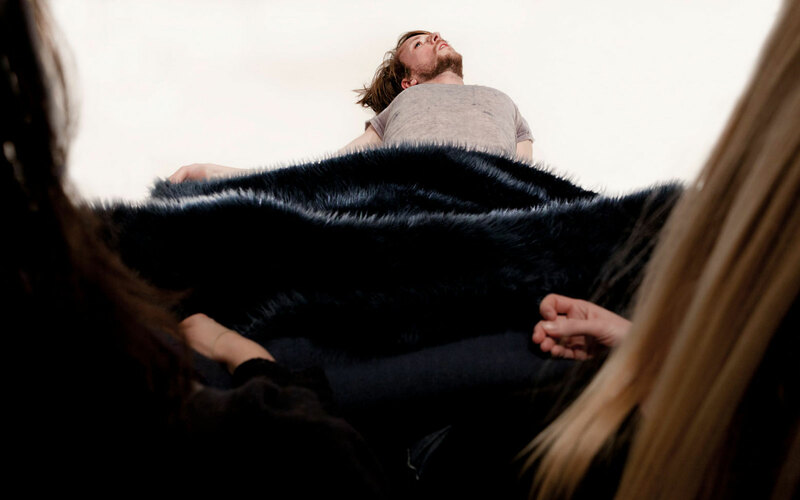 The performers’ bodies in this piece are extremely malleable, in turn vibrating and withdrawing from the outside world; their presence is both gentle and unsettling. SUITES PERMÉABLES, a work for 6 dancers, destined to an audience of 70 or 108 people at a time, following the proximal configuration of seats to the performance area. The show, which lasts about 40 minutes, is given 2, even 3 times within this same duration of the performance. It can be presented in different kinds of spaces, such as a theatre, gallery space or multipurpose room, as long as the given space can accommodate its technical specifications. As a beneficiary of the Résidence de création et de diffusion en danse program of the Conseil des arts de Montréal in partnership with Accès culture, SUITES PERMÉABLES was hosted by 5 boroughs for a total of 10 weeks of creative residency. During the Conseil des arts de Montréal en tournée (tour), the show was given its premiere in the spring of 2015 and was subsequently presented at each participating Maison de la culture. 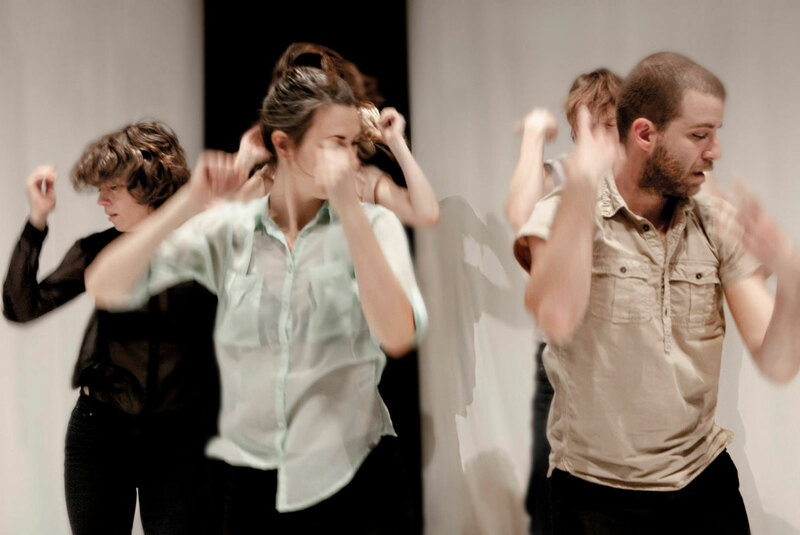 This Résidence de création et de diffusion en danse (creative residency in dance performance) was made possible through the support of the Conseil des arts de Montréal, and the many centres in the Accès culture network. Cultural mediation and community development activities are carried out with the support of the Ministère de la Culture et des Communications and the City of Montreal, as part of the Entente sur le développement culturel de Montréal (Montreal Cultural Development Agreement). Danse Carpe Diem/Emmanuel Jouthe also thanks Escales Improbables de Montréal and the Canada Council for the Arts for their support in this project. Cultural mediation activities were offered concurrently with this program, enabling residents of various communities to meet with the artists, share in the choreographer’s artistic process and engage with others. These connections help to acquaint people with the artist’s work and offer an opportunity to participate from an insider’s perspective in the creative development of a choreography.